2 Bedroom Condo – Excellent Historic District Location – Close to Main St. & the SlopesPowder Ridge 108 offers comfortable accommodations at an affordable price. Conveniently located to the slopes and Main St., outdoor activities are right outside your front door! 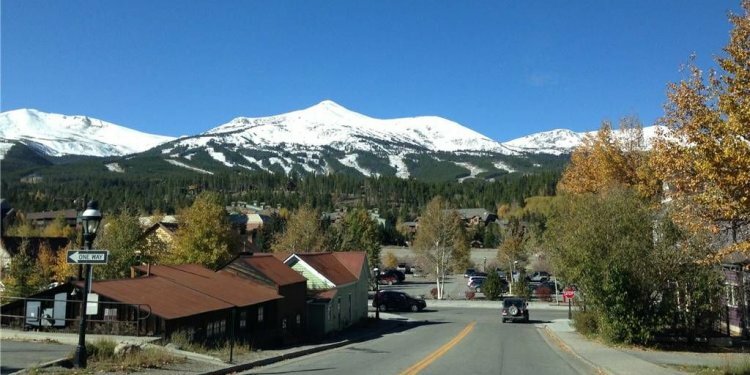 LOCATION – The Powder Ridge condominiums in Breckenridge are just a short walk or a free ride on the shuttle to the slopes, shopping and all the hotspots. Enjoy the town's park and tennis courts in the summer or the sledding hill at Carter Park and ice skating at the ice rink right out the back door in the winter. AMENITIES – Within this cozy unit, there are two bedrooms, two bathrooms, a queen sofa sleeper and a private balcony. This condo also comes equipped with a wood burning fireplace, comfortable living room furniture, a flat screen TV, and a DVD player. There is a fully stocked kitchen and bar area with granite countertops, refrigerator with tile flooring in the entryway and kitchen and carpet throughout. You will find access to laundry facilities and an outdoor hot tub in the common area.